Woohoo, do you like the party on my nails?! Lol. 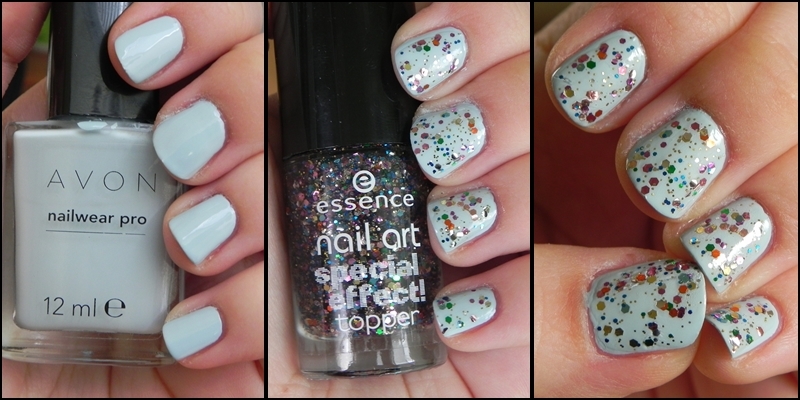 I used Avon’s Vintage Blue and essence’s nail art special effect topper in Circus Confetti (avaliable here).